Not to be cowed by the other news and announcements this week, Blizzard stepped up to the microphone to deliver a few doozies. Game Director Ion Hazzikostas sat down for another hour-long Q&A session, this one focused on players’ journeys through World of Warcraft’s Patch 7.3. The good news is that unlocks earned by progressing through the new Argus storyline will be account-wide, which will be a great boon for alts. It’s also going to be a lot easier to catch up on artifact progression, with the game automatically advancing artifact knowledge on a weekly basis. Outside of the World of Warcraft floor, Blizzard apparently has a lot more cooking in its secret chambers. Studio Co-Founder Allen Adham has been leading up a team working on special projects, including “incubation teams” that are developing new IPs. Of course, this being Blizzard, it’s a long shot whether any of these will see the light of day or a full release, but it’s interesting to know that the studio isn’t settling for its current successful roster. If you have the time, you can watch the full World of Warcraft dev Q&A session below! World of Starcraft 3rd person FPS RPG would be very nice. It would never happen, but I crave something like that. Ive been pretty disappointed with the latest Blizzard installments even if they are very successful. Casual card game without much complexity. Boring MOBA without much complexity. TF2 clone. None of them held my interest at all. They are just looking what genre is gaining popularity and offering their own version that is more accessible to casual players. Im pretty sure one of their “new IP” is noob-friendly cartoon-ish survival game similar to ARK and it might be announced on Blizzcon this year. That makes me wanna question, Do you even enjoy digital card games, MOBAs or games like TF2 (not counting TF2)? Most Blizzard games, even when they are HEAVILY influenced by other games (or nearly directly copied from other games) are still a lot of fun to play. Thats Blizzard motif. Take older game, remake older game into something that is more fun. Its the main thing Blizzard is known for. Now, if you simply dont enjoy those types of games, or are burnt out or just tired of them, then thats another issue, one that really isnt Blizzard dropping the ball. I guess there is the expectation that because Blizzard is so successful and well off, that gamers are looking to them to be one of the next developers to come up with that “something new” thats never been done before. Like any creative material though, at this point its all just rehashed things that have already been done in the past. That isnt really going to change much going forward. Ya, I play(ed) card games and mobas. But I enjoyed MMDoC and LoL much more then HS and Heroes of Storm. I dont play shooters but I barely see any difference between TS2 and Overwatch. I enjoyed WoW, SC2 and Diablo tho. Blizzard seems interested in making games that are fun that their players enjoy. Who knew this could be a path to financial success in development? I just wish this path included a next-gen MMO — but they seem pretty content to say ‘shove-off’ when it comes to that particular style of game. Which makes me sad, I would love a Blizzard MMO that wasn’t ‘raid or gtfo’ and focused more on world and less on shinies. With multiple new IPs in the works – who knows? Blizzard usually does whatever interests them at the moment. There has to be at least one survival shooter in there though. I think Blizzard realizes that they set the bar so high with their past mmorpg, that for them to go beyond that, is going to be a huge challenge and risk. Im fairly certain its why Titan was canceled, because it just wasnt enough to make people feel like it was vastly superior to their last offering. They dont want people to say “Oh, its ok, but im going to go back to playing WoW”. Mostly because running 2 mmorpgs at once, just doesnt make sense from multiple angles. As much as I want Blizzard to push that limit, and think they are one of the few companies that actually COULD, I dont think we will be seeing a full fledged mmorpg from them any time in the next 5 years. Not even hints of one. I think they are waiting for someone else to break new ground with the genre (ie: games like Anthem possibly), so they can then step in later and “one up” them with their version of it. The sure way to be successful, is to take something people love, and make it even better. Its what Blizzard does. What I think we may see, is more of a hybrid mmo style game. 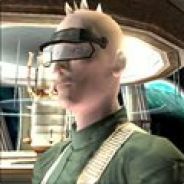 Something along the lines of a game like Skyrim, with multiple players. Probably more 3rd person oriented, and maybe even diablo themed. They may even throw in some survival elements (since survival elements are a mechanic, NOT a full game like so many companies seem to think). A co-op rpg with a lobby/town could be really cool. Monster Hunter with a Blizzard twist and polish.